We’re no strangers to the wonderful world of frozen fettuccini here at Freezer Meal Frenzy. 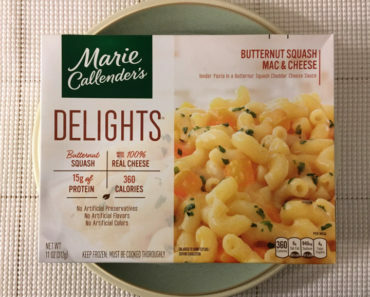 We’ve tried some takes on this dish that we weren’t too impressed by, but we’ve also found some real killer meals (the Stouffer’s Fettuccini Alfredo is surprisingly good). 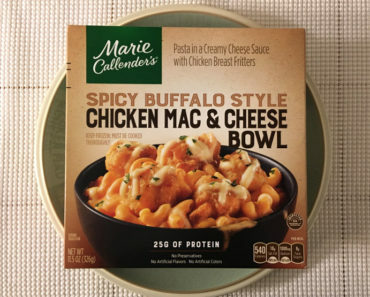 Since we’ve been making our way through the Marie Callender’s line of frozen food lately, we were curious to see how their fettuccini options stack up against the competition. 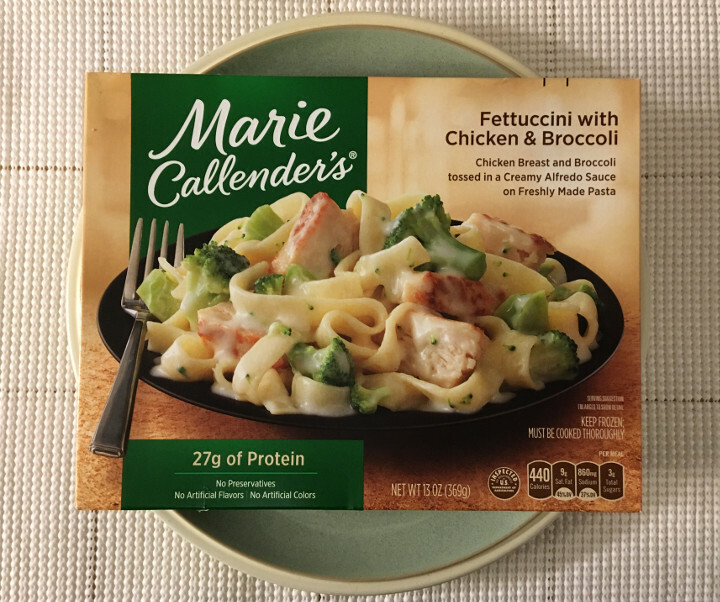 So today we’re checking out the Marie Callender’s Fettuccini with Chicken & Broccoli. Now, right away, we were surprised by how big this meal seems. 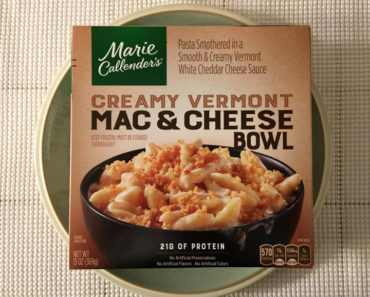 The box is quite a bit larger than the Lean Cuisine or Stouffer’s versions of this same meal. However, that’s a little bit deceiving — while the box is certainly wider and longer, the fettuccini is spread thinly across the bottom of the tray. We’re guessing this is probably about the same amount of food as competitor brands, but it might actually be just a tad bit more than that. It’s certainly a full meal. As you can see in the image below, the sauce comes out a little thin and milky. This is certainly not the ideal consistency for alfredo sauce. We let our meal cool for a few minutes, hoping the sauce would thicken up a bit, but it really didn’t. It tastes fine — not great, but fine — but that soupiness is really unappealing. The chicken is very tender, to the point where it falls apart in your mouth. This is perhaps just a touch softer than our ideal chicken meat, but it’s not soggy or anything. The flavor, however, is pretty weak. It somehow ends up tasting watered down. The broccoli is the part of this dish that has the most flavor by far. And, considering how mediocre the rest of this dish is, these are surprisingly good pieces of broccoli. They have a nice, fresh taste to them that survives the freezing and reheating process. 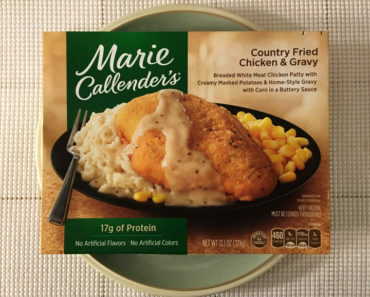 This frozen meal is no slouch in the calorie department, at 440 calories, but it’s also a pretty decent sized amount of food, as we mentioned earlier. 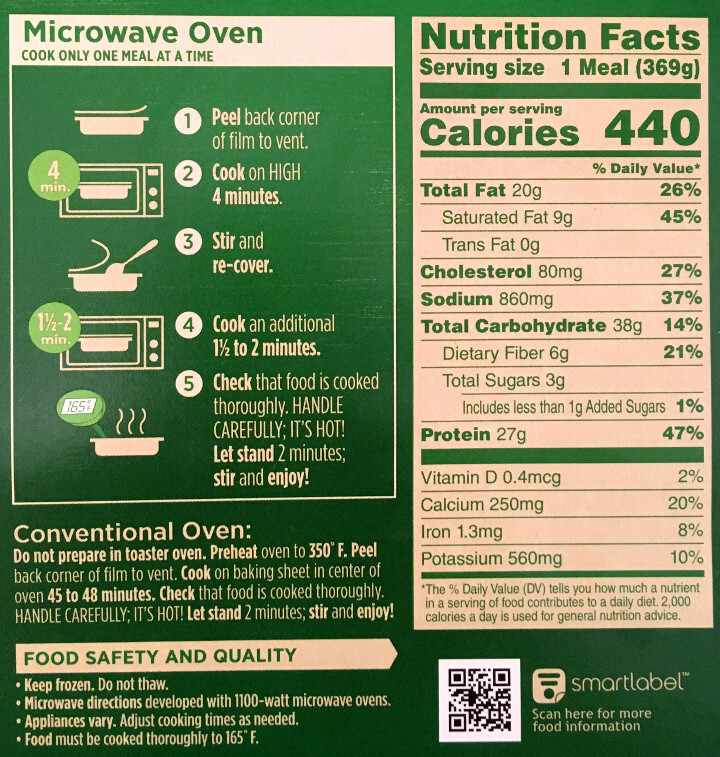 860 mg of sodium is higher than average for a frozen meal as well, so that’s something you should consider before picking up this meal. 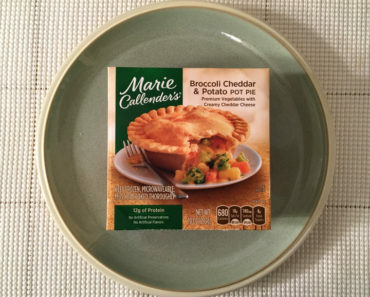 The Marie Callender’s Fettuccini with Chicken & Broccoli is a somewhat disappointing take on a classic food. It’s not terrible, but there are certainly better frozen fettuccini dishes on the market. We highly recommend the Stouffer’s Fettuccini Alfredo (which we mentioned in the beginning of this review). 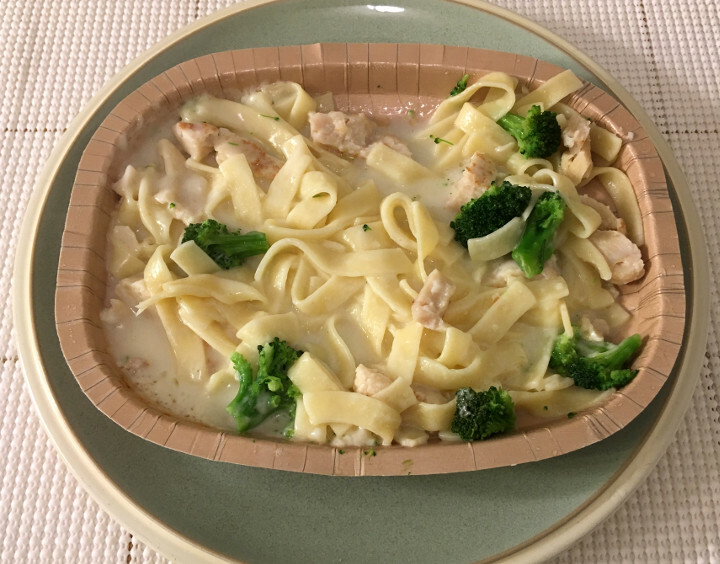 To learn more about the ingredients, cooking instructions, or nutrition content for this frozen fettuccini, check out our package scans below.